please find the product information and corporate news in the June issue of our Bulletin. We would like to inform you about the complete shut down of business operations during company holiday in term 4th till 8 th June 2016. At this time the orders and expedition will not be processed. 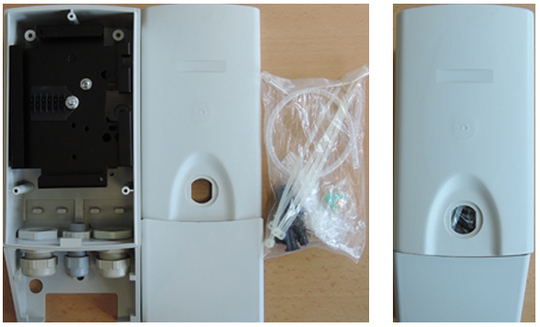 MTTH Easy is designed as a simple distribution box for indoor installation. 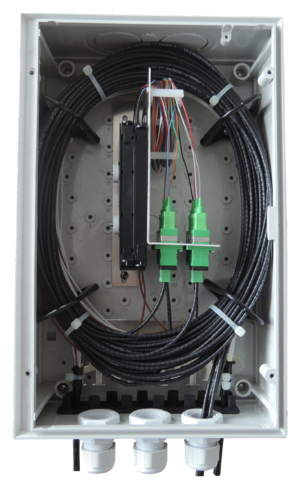 Is destined especially for FTTH networks. 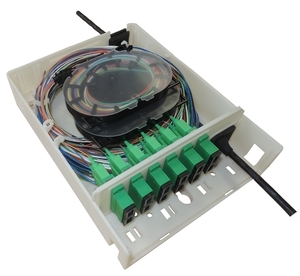 In basic arrangement is suitable for storage of pre-connectorized cable, or cable slack after blowing (connection of the client after request for service). It could be used as distribution point in small building facility, or as floor box. 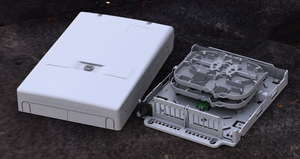 MTTH Uni is universal optical distribution box designed as distribution point in FTTH networks. 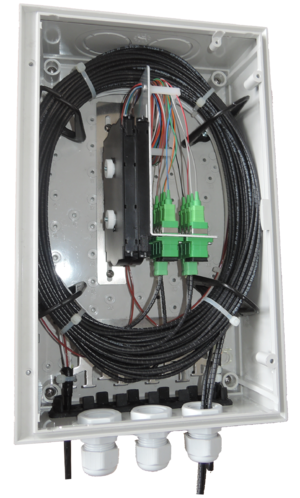 This box is mainly used as an MDU (Multi dweling unit) which enables to distribute the fiber cables into different floors inside the building. 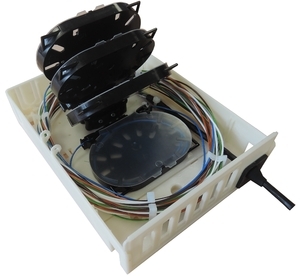 The package includes two different types of adaptor plate and two splice trays KM4. ORM 10 SDF PK is suitable for in-building application for distributing drop cables into apartment and also for outdoor application. You can use pole holder as optional accessories. 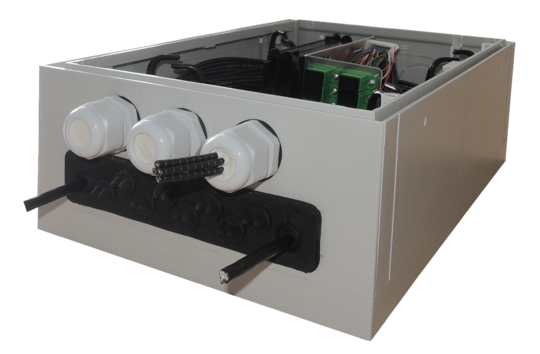 Distribution box can be mounted into pillar which goes directly into trench. 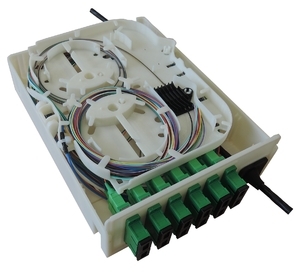 Oval express port is suitable for loop cable and enables entering up to 16 cables with diameter 1-5 mm. 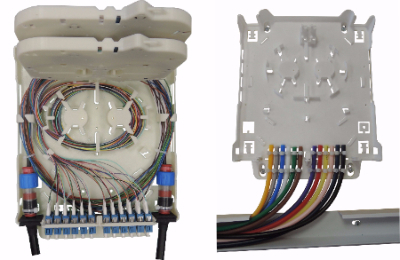 When using PG bushings you can enter with 12 pre-connectorized cables. Pre-connectorized cables will be connected and cable reserve will be placed into eye rings inside of the box. 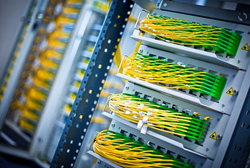 Reserve capability for up to 80m ∅ 3mm or 50m of ∅ 5mm of the cable. 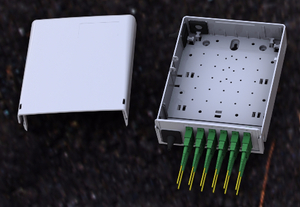 PLC splitter is placed in tray. Velcro for fixing the ABS splitter is part of the accessories bag. ABS splitter will be placed on the first tray and will be fixed via Velcro to tray holder. 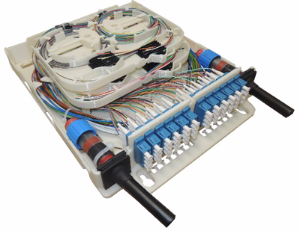 In standard solution 12 position splice holder will be placed in tray. 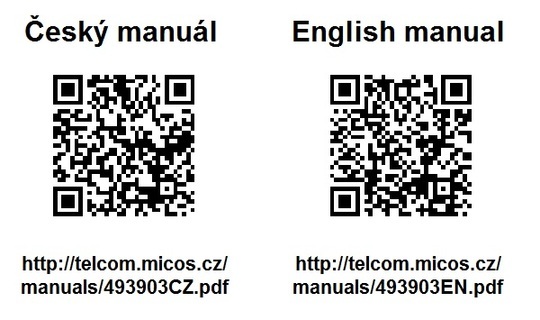 We would like to inform you about new system of online manuals for our new products. All new products will have QR codes which can be used with mobile phones or other device which has ability to scan the code. Via this QR code which will be placed on the product you will be redirected to online version of the manual. Thanks to this solution we are able to offer you more convenient access to the manuals during your installation in field. Thank you for understanding. Please pass this information to your technical team. 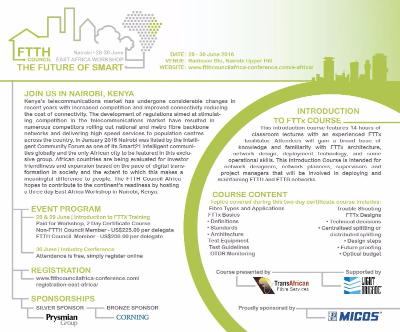 on 28 and 29 June an introductory training course in FTTx will be presented at the inaugural FTTH Council Africa East Africa Workshop in Nairobi Kenya. Topics covered include: Fibre Types and Applications FTTx Basics: Definitions, Standards, Architecture FTTx Designs: Technical decisions, Centralised splitting or distributed splitting, Design steps, Future proofing, Optical budget Test Equipment & Guidelines OTDR Monitoring Trouble Shooting. Micos Telcom will be hosting trainings so don't hesitate to join us!!!!!! !